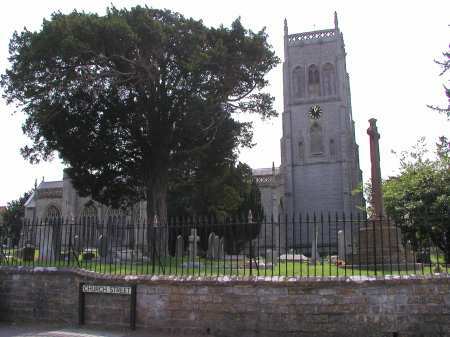 Mark is a large market village on the western edge of the Isle of Wedmore. It originated as two tithings which became two manors; Mark and Moor. Moor (West Mark) was laid out as a planned settlement, probably in the 13th century, to take advantage of the Pillrow Cut, an artificial canal cut through the village by Glastonbury Abbey.